Why Concrete Isn't A Permanent Solution | McKee-Horrigan Inc. Nothing lasts forever. In theory, everyone is aware of this fact. In practice, we tend to forget it. When you purchase a new car, you don’t think about the inevitable maintenance and work it’ll need – you just revel in the new car smell and the way it feels on the road. When you get a new piece of clothing, you don’t think about how it’ll eventually begin to fall apart at the seams. Instead, you just wear it out on the town and enjoy it while it lasts. But time wears away at everything. The more you wear that new shirt or drive the new car, the more wear and tear will slowly build up on it. Now, there are steps you can take to reduce damage, such as washing in cold water or taking your car into the mechanic. But unfortunately, nothing lasts forever. Now, you may think there are exceptions to this rule: a mighty cliff, a massive redwood tree, or maybe the concrete flooring of your warehouse. But don’t be fooled – the forces of wind, rain, fire, or your daily business can wear and tear down even the mightiest of surfaces. Now, you probably don’t have to worry about any redwood trees. But if you operate a business, you might need to worry about your concrete floors. Here’s the inside scoop on why you need to think about the future of your floors and concrete repair. Where Does Concrete Damage Come From? When you think of repairing something around the warehouse, one of the first things that comes to mind is a sudden, catastrophic failure. You might think about a piece of dock equipment suddenly breaking down, or something snapping in two. When it comes to concrete, this isn’t the case. Instead, it’s a slow and steady erosion over time. Think back to your grade school science classes for a moment; you probably learned about how wind and rain will slowly erode away the surface of a cliff or a rock structure, leaving less and less of it as the years pass. The same thing happens with concrete floors. Let’s be realistic – your warehouse is a busy place. Cargo is being moved, employees are hustling to get the job done, and heavy dock equipment is being set up. It’s very easy to see how, over the course of years, this activity could slowly wear away at the concrete and create a problem. Why Isn’t This Damage Obvious to Many Business Owners? There is a phenomenon known as the “sausage effect”. The most common and popular example of the “sausage effect” is the story of a man who decided to embezzle a great amount of money from his employers. Instead of taking it all in one go, he simply took small amounts here and there that slowly added up. The reason the “sausage effect” has its name is because he compared his theft to trying to steal a sausage: If you take huge chunks away from it, it’ll draw attention, but if you simply cut slivers away, it’s easy to miss. The same psychological effect can apply to your concrete flooring. Damage that accumulates over time is easy to miss. Everything can seem fine – until visible damage appears or there’s a problem caused by uneven flooring. The best way to prevent such a rude awakening is to be aware of potential issues and make sure you take care of them before they become dangerous or problematic. 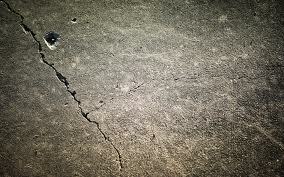 What Kind of Repairs Are Needed When It Comes to Concrete? 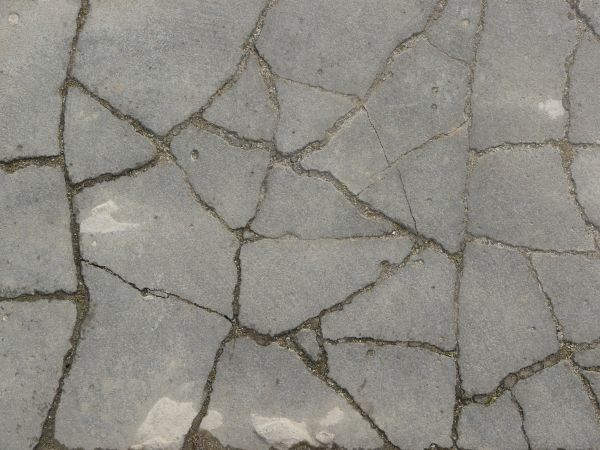 There are several ways to treat damaged or worn away concrete, some more intense than others. Sometimes, a protective coating can simply be reapplied. This is something that requires time to carry out, but it is significantly less time and cost intensive than other methods. The protective coating helps protect the concrete from the wear and tear that your daily operations would inflict. However, in some cases, the coating has long since worn away and the concrete itself is what’s being damaged. In such an instance, concrete forming might be required. This requires the old floor to be replaced with a fresh start. While this is obviously more expensive and takes longer to complete, it is worth it to create a safe workplace. If you think you can simply “wait out” problems with concrete, think again. Small faults will continue to grow into major issues. Think back to erosion. What happens once wind, rain, and sun bores down holes in rock? The damage becomes worse. The same thing will happen with faulty concrete floors. This is why it’s important for you to take action as soon as you notice imperfections, as well as keep an eye out and schedule appropriate maintenance. The longer you wait, the higher your bills could be – so keep your eyes peeled and act quickly as soon as you notice visible damage or wear and tear! Think your concrete floors are completely immune to damage? Think again. Concrete, despite being notoriously tough, can definitely still be worn away and be damaged by the everyday work of a warehouse. If you choose to ignore this fact until there is severe damage, you’ll end up paying more and spending more time on repairs. Instead, take a proactive approach. McKee-Horrigan Inc. has experience with concrete forming and repairs. If your warehouse is in need of help, give us a call today at 1 888 244 4171 for a free quote and more information.